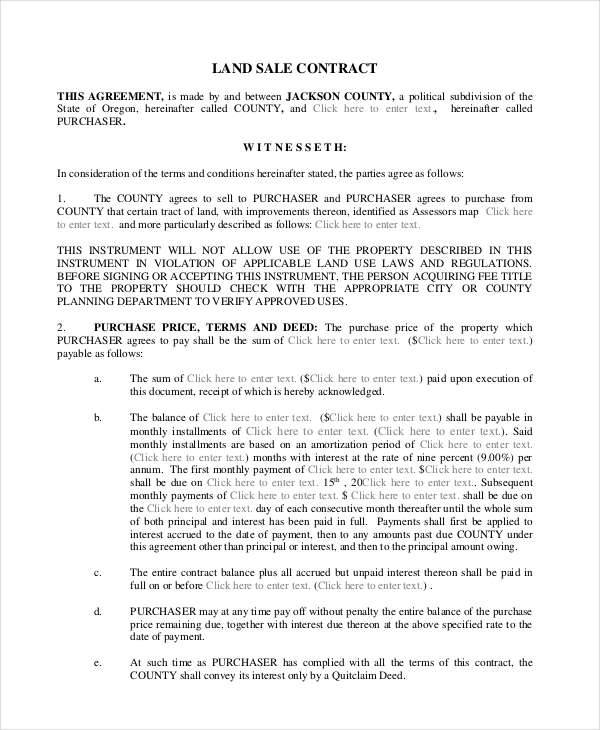 What is a land contract? 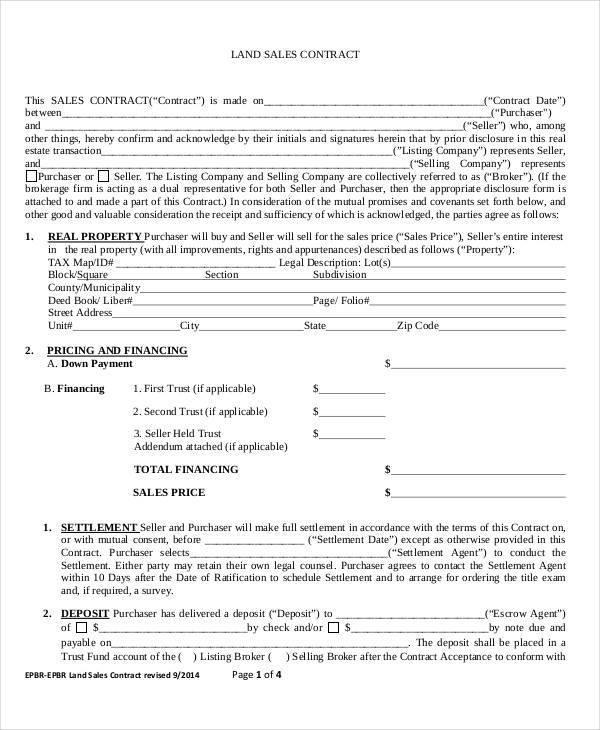 A land contract is an agreement between two parties for the purchase of a certain property. 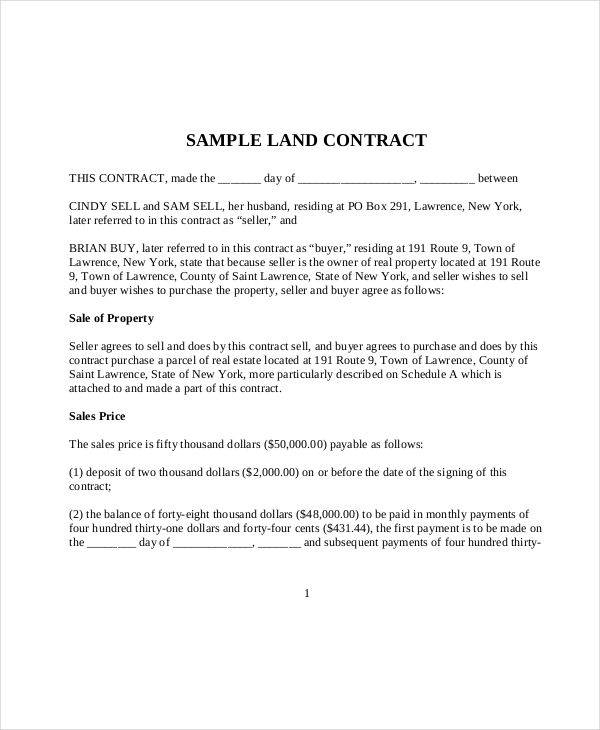 In a land contract, the seller keeps the title of the purchased property until a buyer has paid the full amount. Both parties can agree on the payment terms and payment methods in a land contract. 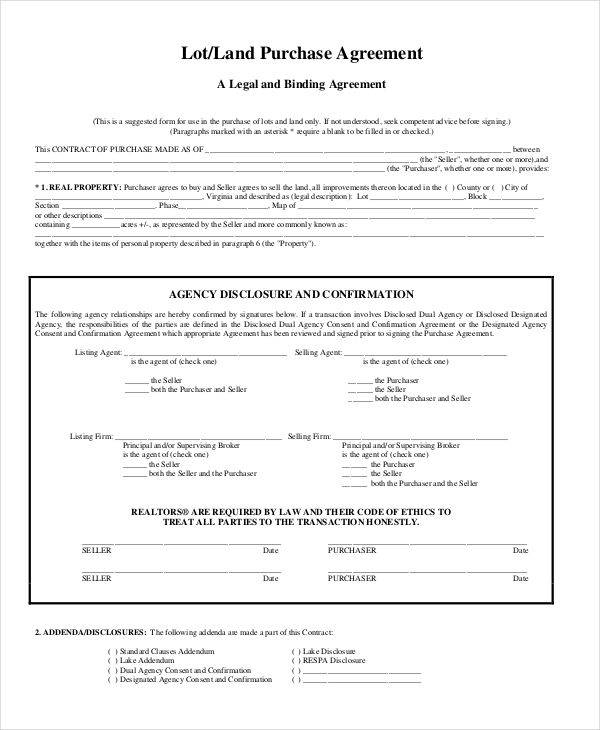 A land contract, or any other contract, contains contract clauses. These contract clauses define the roles and responsibilities of both parties regarding the purchased property. 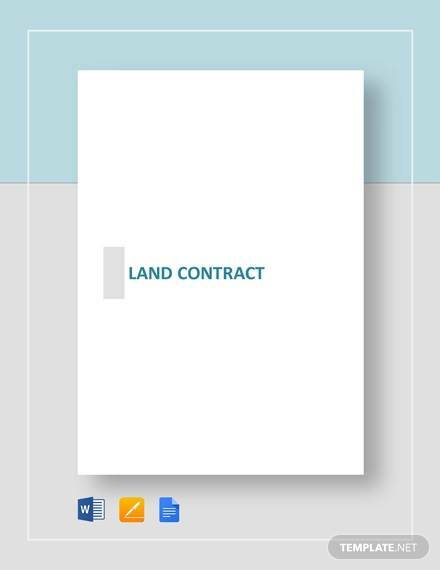 There are templates for land contracts, land installment contracts, land lease contracts, etc., available on this page should you need to write one. 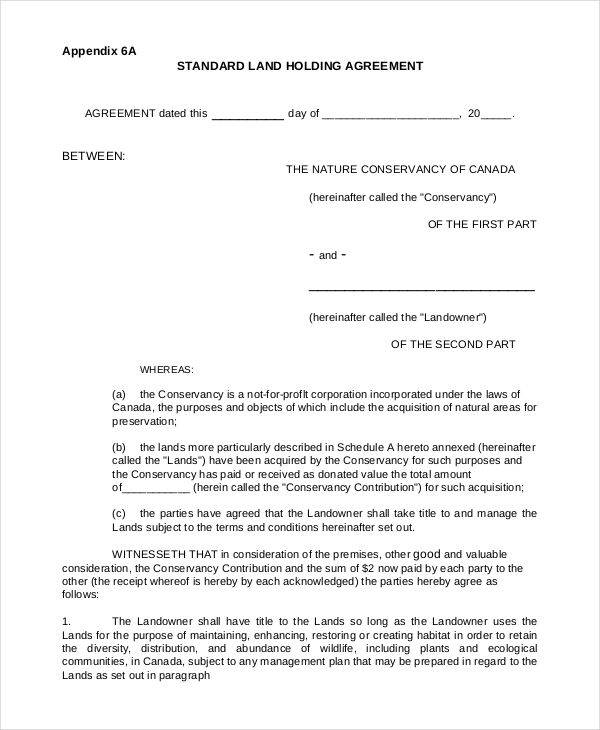 Before an individual can officially own a property, land contract forms and land contract agreements are necessary documents. The first information to write in a land contract are the names and addresses of both the seller and the buyer. 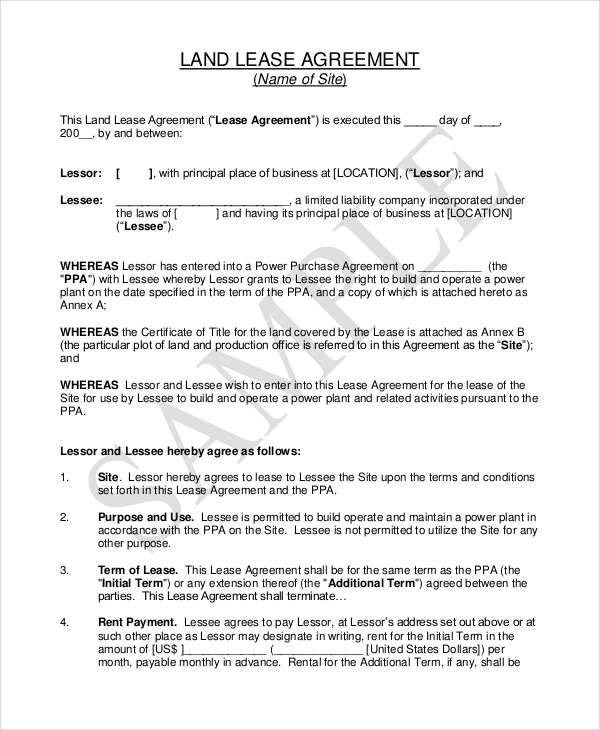 State the terms of the contract. Both the seller and the buyer can negotiate the terms of the land contract as long as it complies with the law. Write the details of the said property such as the complete address. Negotiate the payment term, specifically the down payment and the methods a buyer can pay the seller. Both parties should sign the contract. 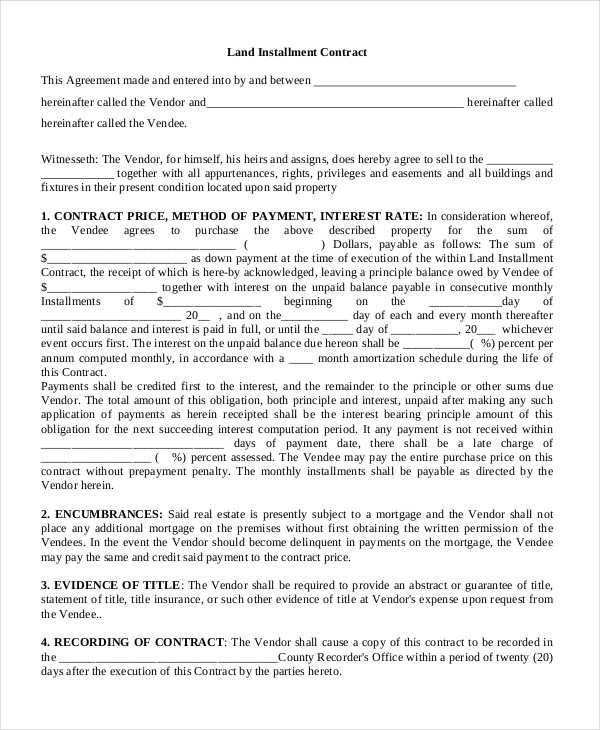 Warranty Deed – A warranty deed is a type of land contract, which means that a property is free of debt and a buyer has the right to sell the property. If a problem arises, the seller must compensate the buyer. 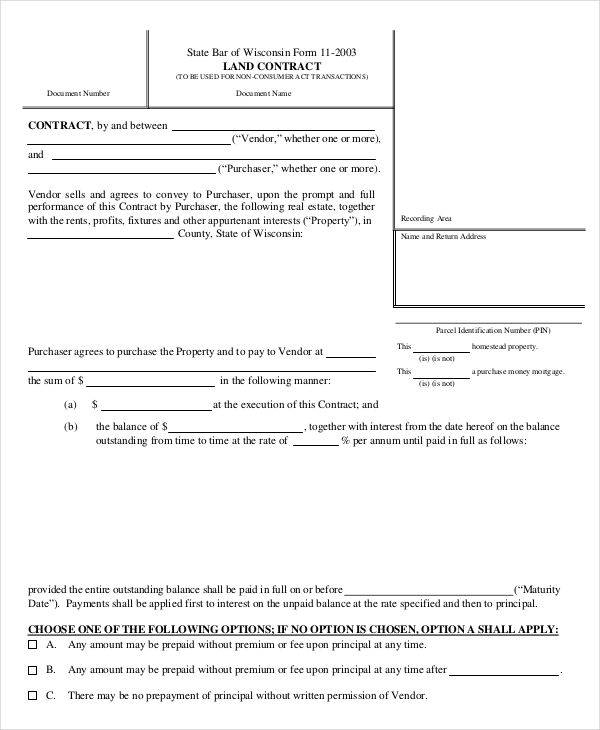 Quit Claim Deed – A quit claim deed is a type of contract that allows one party to transfer the rights of a particular property to another. Buying a property or a home through a land contract is easier since it doesn’t require a mortgage. Getting a mortgage requires an individual to have a good credit score, making it difficult to buy a house. If you need a construction contract and a lease contract, these are also available on the links. Home Ownership – This is one of the advantages of having a land contract. Through a land contract, people are able to buy and own a house. Right to Improve the Property – Through a land contract, a buyer will have the rights to renovate and improve the property should they want to. A buyer can make changes on the property since a buyer technically already owns the property. Tax Benefits – Land contract agreements allow a buyer to deduct the amount of interest he or she has paid through their tax returns. Lending Fees – When a buyer purchases a house through a land contract, he or she doesn’t pay lender fees, which is typically required to be paid when purchasing through other lending services. Increase in Value – The value of a certain property increases over time. Thus, a buyer can benefit from the increase and appreciation of that particular home.